Don’t you hate it when you spend seven years on a manuscript and then one day some Hollywood hack coughs out some summer blockbuster containing some superficially-similar concepts, and all of a sudden elements of your story that were carefully planned literary allusions make the whole work look like fan fiction? And you could change those story elements, but then you lose the literary allusion and a lot of flavour that goes with it, and anyway YOU WERE THERE FIRST and THEY’RE the ones who should have to do a rewrite, right? Apparently it’s Short Story Month. I know this because The Afterword and Steven Beattie say so. I think this might be something The Afterword invented, to be honest I haven’t been paying a huge amount of attention because I don’t consider myself a big fan of short stories. But that alone should have been reason enough for me to stick my neck out. If the point is to encourage the reading of short stories, I am the perfect target market – an avid reader who for no particularly good reason avoids the form. The last two short story collections I read were Joyce’s Dubliners and Flannery O’Connor’s A Good Man Is Hard To Find, both of which I read for a class on modern literature. Because, I think, of the context, I have no fond memories of either book. And, because they are considered to be two of the finest examples of the short story in the English language, I assumed that since I didn’t really like them, I wouldn’t really like any short stories. This was five years ago – I don’t think I’ve read a short story since. But it wasn’t always this way. When I was a kid – 11, 12 years old – I had subscriptions to Realms of Fantasy, Asimov’s and Fantasy & Science Fiction. I read The Year’s Best Fantasy & Horror every year from 1990-1998. For years I felt Ellen Datlow and Terri Windling’s collections of “adult fairy tales” (from Snow White, Rose Red through Black Heart, Ivory Bones) were the reading highlight of my year. And Charles de Lint’s first collection of Newford stories, Dreams Underfoot, was probably responsible for changing my life. I know, that’s sad from a literary standpoint. Some teens latch on to Holden Caulfield or Jack Kerouac or Nietzsche; not me. I was living in a small down up the Ottawa Valley, hating every minute of my life there. I didn’t have the patience or the focus to channel my frustration into anything useful, but I did have a grab-bag of strange and various talents, and a vivid imagination. In de Lint’s stories I met folkies and artists and buskers who were living, as far as my 16-year-old self was concerned, the perfect life. I was already a talented violinist, so I decided to take up fiddling, and jumped ship to Toronto at my earliest convenience. I wasn’t quite done high school and I didn’t have anywhere to live, but I was determined to find the community of like-minded de-Lint-ian vagabonds who would, I was sure, be my best friends forever. Suffice to say it didn’t end up quite like that. Still, Dreams Underfoot moved me to Toronto and motivated me to have some of my more memorable adventures. Once the busking season ended and winter started making itself known I dabbled in the more indoor – but nevertheless de Lint-inspired – career path offered by the University of Toronto’s Celtic Studies program. Failing this I meandered through a similarly inspired and equally brief film career, still determined to find the faery artists of de Lint’s world. Even now, years later, when I muse about the cozy bookshop I’d love to someday own, my mind calls up Mr Truepenny’s Book Emporium and Gallery, a de Lint creation. This is probably the other reason I’ve shied away from short stories: I’m afraid if I go back to them I’ll find they weren’t nearly as good as I thought they were when I was 14. Looking back at what moved us as young people is bound to be an embarrassing exercise. This week I thought I’d meet my 14-year-old self half way. 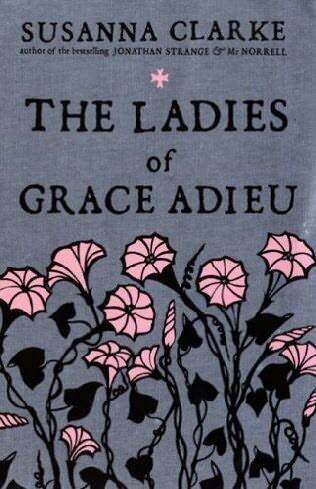 Susanna Clarke’s The Ladies of Grace Adieu is supposed to offer magic and fantasy in the vein of John Crowley, which is to say, with style and skill not often found in genre writing. I did quite like her full-length novel, Jonathan Strange & Mr Norrell. And serendipitously, Ladies of Grace Adieu is illustrated by Charles Vess, who I met earlier this month at TCAF, and who illustrated so many of the Charles de Lint books of my youth. Fate? Anyway the book has been sitting unread on my shelf for four years now. It’s time. BookCamp T.O. seemed to me to be peopled by three types of people: 1) representatives from publishing houses (often, publicists) 2) technology/new media geeks and 3) commenters and critics – i.e. bloggers. I certainly felt I was there in my capacity as the latter, and so the sessions I chose were those I thought would speak to me and my vocation best. So I was disappointed, to say the least, in the final session of the day, “Building and Sustaining a Community of Readers Online”. Far from being concerned with community-building or readership, this session wound up being about leveraging existing community in order to generate sales. Tan Light of Random House pointed out to us that social media, while “free”, is extremely time consuming and thus requires a lot of man hours. So, by building (or finding) self-sustaining communities, you basically have an engine that will generate that labour for you. Needless to say, from this “community as marketing tool” standpoint, most of the discussion focused around what to do when the community is saying bad things about your company or product; how to manage or minimize the things you don’t want the “community” to be saying. Customer service! Transparency! Smiley emoticons! Okay, that last bit is mine. I’m sure the publicists in the room were thrilled. But for my part, the session left a bad taste in my mouth. Is that what I am? An unpaid publicist? Is that what we’re building all these “communities” for? To sell books? This has been an issue with “free knowledge” rhetoric all along. The “knowledge economy” is supposed to save us from economic collapse, but who along the knowledge production chain gets paid? If I am participating in a critical community which is hashing out important issues in, say, bookselling and then a media giant comes along, scoops up the buzz and the discourse and the leads we’ve worked up and prints it in their for-profit newspaper, we (the critical community) have produced the bulk of the knowledge to be sold by a third party. This is part of the problem with copyright in general: What right has anyone other than the content producer have to make money off of an intellectual property? But someone should make money – I don’t advocate reducing people whose talent is for knowledge production to slaves or hobbyists. If what you do is write or make music or draw or think, you should have the right to make your living off of it. You don’t owe it to “society” to give away your product for free. And you certainly should be annoyed if you do give something away for free and someone else capitalizes off of it. So I wonder how the blogger model fits into the new economy. Blogging is almost always done for free. The Quill & Quire profiles a number of “big” book bloggers in their latest issue and we learn that among them are only two who actually make money from it – BookNinja and GalleyCat. So what’s in it for the rest them? I hate to be so crass, but let’s be honest: sure, there’s an element of fun and community to it, but most bloggers have some back-of-the-brain idea that blogging will net them something in the long run. Money? Legitimacy? Popularity? A job? On the one hand, it’s nice to imagine that most of us are blogging for the altruistic purpose of “contributing to public dialogue” or “making a difference”. Maybe we really love Canadian Literature and want to see it succeed, or we feel strongly that new transmedia projects will make the world a more equitable place. But fact is, this is a time-consuming practice. Blogging as a form of philanthropy is, like all philanthropy, the privilege of the already-underwritten-by-someone-else. As we move into a future where blogging is an increasingly legitimized form on journalism, and “real” newspapers are dropping like flies, there’s really nothing just about a blogging model that expects the new journalism to come from generously employed hobbyists with a bit of an obsessive compulsive streak. If we as a society value the knowledge production they’re engaged in, we’ll find a way to make this their full-time job. I sort of wish I’d gone to mesh ’10 because I think there might have been more opportunity for me to learn about these issues. But then, I have a job I had to attend, and a toddler to take care of. My exploration of media issues isn’t being underwritten by anyone, so I’m left musing to myself in my “spare” time. Hopefully I haven’t fired way off the mark this time – what do y’all think? How do you reconcile your status as unpaid publicist; dharma bum? The EBook in Academia was somewhat hijacked by someone who seemed to have no idea why we were there; meanwhile the “good” discussion mostly concerned open-source movements which, while academically exciting, wasn’t very useful to the thirty publishers in the room. The Literary Grassroots session was alright, but the absence of Taddle Creek’s representative left a big gap in the discussion. Lots of handwringing, no real information on how a literary publication might stay viable in this environment. CBC’s Canada Reads panel featuring JK, Kerry Clare and Steven Beattie was excellent, but there’s not much more to say about it. Good format, lots of community involvement, we look forward to continuing that involvement! I also sat in on a discussion on bibliographical metadata, a subject about which I knew nothing. Well, now I know something! Not very useful to me as I am not in publishing, but nevertheless gave me something to think about about the costs/challenges small publishers face if they want to be part of this big globalized industry. The 11:30 talk on “Book as Object”, on the other hand, was fascinating. What was fascinating was that the room was packed with people. They lined the walls and sat on the floor. Maybe word got around really quickly that Anstey president Neil Stewart had brought along a free handout, a beautifully bound blank notebook that reads “NICE BOOK CAMP BOOK” on the front cover (this may or may not beat the wine Michael Tamblyn fed his Kobo session). But more likely I think we were experiencing a bout of nostalgia. Few of us went into English Lit or Publishing or whatever with the intention of bringing about the obsolescence of the codex, but years of reality checks later that’s what we’re doing for a living. I think people wanted to hear there’s a future for the object, even if most of us won’t really be working with them. Certainly, the book-objects Neil Stewart and his partner Aurélie Collings were not the sorts of things most of us could ever create. Stewart works on commission, producing limited edition fine letterpressed editions which are absolutely works of art. His bindery employs 18 people, among them printers, sewers, binders and designers. This is high-end craftwork in addition to publishing. Stewart told us of a limited run he did of Margaret Atwood’s The Door featuring a relief print “keepsake” done by Atwood “in her kitchen with a spoon”. Two were auctioned off for charity and fetched, according to Stewart, $1600 (Abebooks.com reports they went for $2000 and $1800). Aliquando Press's The Convergence of the Twain by Thomas Hardy - $65 CDN. But buying private press books needn’t be that expensive. Compared to buying art, Collings rightly points out, these books are downright cheap. Actually, they’re affordable even when compared to frontlist trade books. Many private presses have books in the $65-$90 range, including Barbarian Press’s Rumour of a Shark by John Carroll ($75), Aliquando Press’s The Quest for the Golden Ingots by Maureen Steuart ($65), or Frog Hollow Press’s The Book of Widows – Contemporary Canadian Poets: Volume 6. New poems by M.Travis Lane (Deluxe Edition) ($60). This is not appreciably higher than frontlist hardcovers have come to cost – consider that John English’s Just Watch Me: The Life of Pierre Elliott Trudeau is $39.95, while I bought the Modern Library’s Adventures of Amir Hamza for $57.00, or the new Library of America Collected Works of Flannery O’Connor at $50. In fact, the print runs of both a private press book and a non-blockbuster trade book might not be that different. These days a new Canadian author can consider themselves lucky if they sell as many as 1000 or 1500 copies of their book. In reality, most Canadian fiction trade books sell 200-500 copies – well within the range of a limited edition run. This isn’t to say there’s no difference between publishing with a private or craft press and a commercial one – the differences between publishing with a small or large press were discussed at length at That Shakespearean Rag a couple months ago – but buyers who love the book and authors who love to be published in book form need not necessarily panic. The private press model is almost as accessible, available and affordable as the conventional one. Of course this doesn’t mean all publishing can be replaced by small or private press work, but it does seem to support Stewart & Collings’ thesis that there is potential for a healthy fine publishing industry in the wake of the digital revolution. We all still love books. There are people out there who publish beautiful books (often 100% Canadian content I might add, right down to the paper and cloth). We don’t necessarily have to pay much more for these books, nor are they any more scarce than most new literature. All we need is to discover some of the book availability that exists out there beyond Amazon. Most private presses are just that – private – and you need to make a little effort to seek out their work, but it’s not rocket science. Most have webpages, however basic. Trade organizations like the Canadian Bookbinders and Book Artists Guild (CBBAG) keep lists of membership. And best of all, they go out to trade shows like next month’s Toronto Small Press Book Fair (June 19th 2010) where you can gawk and browse and even (*gasp*) buy to your heart’s content. Neil Stewart repeated his assertion that he didn’t want to be “all things to all people”, and I think that’s fantastic. One of the best things about new reading technology is the diversification of work available: nowadays, there’s something out there for everyone, no matter what your taste. Private presses fit very well into this new personalized world. Next time you need to buy a gift, consider a book object that really is irreplaceable. Your gift-ee will probably just download the latest Ian McEwan or Peter Carey onto their iPhone anyway. Try something different. 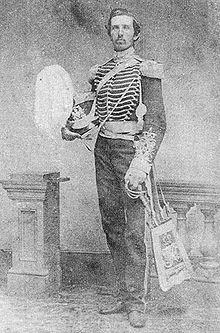 The politics of George Taylor Denison stand in stark contrast to my own, but nevertheless he was in his time a fairly influential politician, military officer and writer. His works ranged from the polemical (Canada, is she prepared for war? or, a few remarks on the state of her defences, pamphlet, 1861) to the historical (Reminiscences of the Red River rebellion of 1869, Toronto, 1873) and contain a good amount of local Toronto flavour (Recollections of a police magistrate, Toronto, 1920). It’s this latter title that set me on my search. The Toronto Book Fair and Paper Show can be, in a lot of ways, a sad little show, but there’s no question it’s a brilliant place to find works of local history. I have always known I had “writers in the family”, so to speak – family legend has it that the library of Rusholme (the old “family estate” which would have been bounded by what is today Dovercourt Road, St. Anne’s Road, Rusholme Street, and College Street) contained not just George Taylor’s works but those of my great-great grandfather, Frederick Charles Denison (Historical record of the Governor–General’s Body Guard, and its standing orders, Toronto, 1876). But by the time Rusholme was sold and bulldozed in 1953 the library had vaporized. Certainly my family retains some books as well as other keepsakes – I’m sure the same can be said of other descendants – but as for a comprehensive collection there is none. At last year’s book fair I happened to stumble across a copy of Recollections of a police magistrate. It was inscribed by George to some unknown, and priced at $60. I was sure someone in the family had a copy so I let it pass, thinking I’d just track down whoever it was that inherited Uncle George’s books and take responsibility for them. Silly me. The family seems largely agreed that if any books had remained at Rusholme by the time Uncle Harold (Harold Edmund Denison, son of Frederick Charles) sold it, they were either sold or absconded with by some distant and unscrupulous relation. Nobody has any copies of anything. Suddenly that $60 Magistrate looks like one that got away. But if collecting were easy, it wouldn’t be any fun. After a year’s reflection I’ve decided to get snapping and track the family books down in some shape or form. Any copies would be nice, but wouldn’t it be fine to find the family copies from Rusholme? I’m seized with the thrill of the hunt. In any case, I feel after my unfriendly review of the Book Fair last year I owe it a second go. It’s worth mentioning that Heritage Antique Shows has lowered the entrance price from $7 to $5 – maybe they read my post? Perhaps this indicates some thoughtful planning on the part of the show organizers. So off I go, in search of my bookish heritage. This Saturday, May 15th, the University of Toronto’s iSchool will be hosting the 2nd annual Book Camp T.O., an “informal unconference” whose theme this year is “Book Publishing Is Going Digital, Now What?” At the time I signed up, only 10% of the sessions were booked, few sessions moderators had stepped forward and we weren’t quite sure what were were going to un-confer about; but nevertheless the event was sold out after only three days. Now the sessions are booked, the participants are listed and it looks like the event is going to live up to our expectations. This is my nod to participation. John Dupuis and Evan Leibovitch of York University will lead the session, but I will bring my three cents worth as an academic bookseller with pretty comprehensive knowledge of how academic eBooks are interfacing with their reading public. I expect this session, led by Stuart Woods (Editor of the Quill & Quire), Amy Logan-Holmes (Executive Director of OpenBook Toronto) and Conan Tobias (of literary journal Taddle Creek) to be packed to the rafters with bloggers. Who’s with me??? Okay, I’ll be honest with you: this session is the primary reason I’m attending BookCamp. The blurb: “Before Gutenberg, books were fetish objects collected and hoarded by the elite. Are we headed back to the future? A session on all things paper, printed, bound and beautiful. A text is not a book, which is another way of saying that a book needs to be more than a “content delivery platform”. A book that is well made and sensitively designed satisfies the reader, pleases the author and reassures the archivist in ways that digital (so far) cannot.” Preach! It’s not clear what Rosie Fernandez intends to do with this session, but I’m in. I think the bloggosphere’s contribution to Canada Reads has been singularly influential – the integration between web and radio content is likely to get even more blended. Let’s see where this goes! Led by Alana Wilcox of Coach House Press, I think this will address an aspect of the digital revolution that is being under examined so far: so, okay, technically we can address most aspect of the publishing trade with new media technologies, but how top-down is this model? Not every publishing house is funded by Bertelsmann. Is publishing in the global digital future feasible for everyone? Good damn question. Of more interest to bloggers. Actually, neither this nor any of the other 4pm sessions excite me tremendously, so we’ll see if I even bother. Maybe this will be a good opportunity for a wind-down martini?